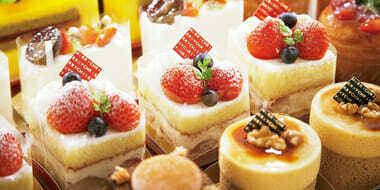 You will find TEMMA in a place where looks delicious. You wander into a store and find yourself somehow drawn to a particular sweet. You can tell immediately that it has been made with tender loving care and it’s going to taste delicious. That is a place where people can’t help but smile and where you will find TEMMA’s containers. 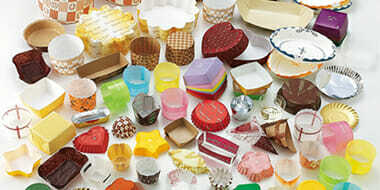 TEMMA SHIKI launched production and sale in Osaka of containers and packages for Western-style confectionery in 1960. 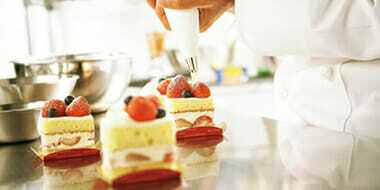 Ever since, we strive for enhancing our business in the industry of confectionery and bakery. We appreciate your cooperation and support in helping us meet these achievements. Since establishment, we create various products with a concept of "product development emphasizing the palatability of food." ISO22000 has been introduced as the food safety management system for improved hygienic control environment in addition to our improvement in quality, creativity and cost. We continue with all our effort to prevent any problems that may impact food hygiene. We will pursue customers' needs striving in the development of newer products. We will continue to challenge all aspects of our business operations to insure our customers' business continues to expand and grow in prosperity. Producing paper containers for "deliciousness"
Our products are developed with designs and functionalities that are easy to use for customers when cooking and excellently portray its delicious contents. We strive for creative development and production every day, respecting the desire of those who produce food and the feeling of those who eat it. Even when much deliciousness is guaranteed, it is essential to catch customer’s eyes first.So the design of containers and wrappings are critical. Our dedicated staff will meticulously work on your requests to meet your requirements. We then offer proposals with data and physical samples in various stages of the designs including three-dimensional shape. 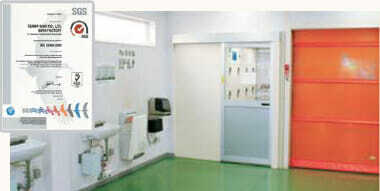 TEMMA covers a vast number of products to suit different application. Standard products ensure immediate delivery. Made-to-order products provide customer’s originality into shape. Seasonal product designs are also available such as Christmas and Valentine’s Day. Utilizing accumulation of our original molding techniques. 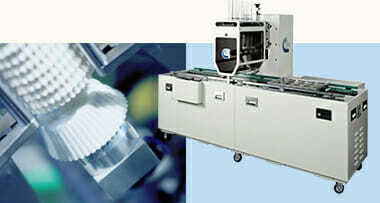 TEMMA designs and produces molding machines as well as the metal molds in the Divisions of Technology(IP LAB). This capability enables us to produce our products in a short period of time to meet immediate requirements for customers. We strive to create unique products which cannot be imitated by any other companies using our tecnology and know-how we have built over the years. TEMMA product is a part of the customer’s products.Unless there is a continuous supply, confectionery or food production will be suspended. TEMMA has established a system of production plan based on a daily demand forecast to prevent the shortage of the products. We strive for high quality and hygienic products in all sincerity. In the production and sale of food containers, through consistent quality and hygenic control are critical. TEMMA has been certified with ISO22000 in both 2 manufacturing bases(Nara & Tsukuba plant). We make extreme effort for thorough quality control, in addition to establishment and improvement of our hygenic environment to ensure reliable produntion quality and safety. Paper confectionary and bread molds, various baking cups, confectionery baking paper, various molds, shaped molding system containers paper press containers, aluminum foil containers, coffee filters, various food containers. * As of FY2015, we have changed the settlement of accounts to March. Therefore, the sales listed for the transitional period of FY2015 are those from the 6-month period from October 1, 2014 to March 31, 2015. Wuxi Temma Paper Cup Co,. Ltd. Since we established the International Department, the sales have been increasing and our products are now used over 20 different countries around the world. In addition to North America and Asia where the sales show strong growth, to intensify sales for Europe, we actively participate in exhibitions, such as in France, Germany and so on. We strive to develop production techniques to suit the requirements of individual countries and provide safe and high-quality products all over the world. Since we established Wuxi Temma Paper Cup Co., Ltd. (a joint venture) in Wuxi, Jiansu in China, production and sales in the local area have made favorable progress. It also plays a role as the base for inquiries from abroad. We have acquired ISO22000 and QS certification and continue to strive to provide the ever best quality to customers all over the world.